Happy Wonderful Fantastically awesome Birthday Paget! I hope all is wonderful for you and I wish you the best in your life. Happy Birthday Ms. Brewster! May this special day be everything you wished for and so much more. Continue being your awesome self. Happy wishes! Just so you know, we share our birthdate with Carrie Underwood and Chuck Norris :) Hope yours is one full of irreplaceable moments! Happy Birthday Paget! Love Your Unique NamE And Love You On The Show. Happy Birthday! Full of beautiful things for you. Kisses and lots of love from France. Happy Birthday Paget! I wish you well. Miss you on Criminal Minds. Happy birthday Paget! I hope your day is very special! Criminal Minds is not the same without you. Too bad, she's no longer on the show! Happy bday..may all the best wishes be with you. Missing you mucho but so glad to see you are still in the loop and occas hangin with our fave peeps! Have an amazing day and hoping to see you regularly on a new show really soon - you'll make it great! Omg pager happy birthday I love you sooooo much. Good luck with your future endevors. Wish you a great and wonderful birthday...and all the best for your future! Sending lots of love on your birthday, Paget! May life bless you with much happiness. Criminal Minds is not as engaging without you! 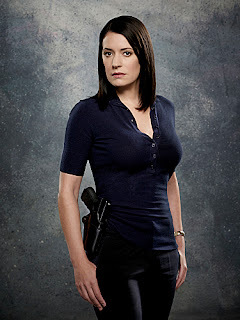 There is a dynamic that just isn'there without Special Agent Emily Prentiss at the helm. HAPPY BIRTHDAY Paget, you're so amazing!! Happy birthday beautiful! have a lovely birthday! Happy Birthday Paget - have a great day !!!! Happy Birthday, Paget! I miss you! I hope that you're enjoying your new acting jobs and that you're doing we'll! Happy Birthday Paget. Sure miss you on Criminal Minds !! :( Have a great time on your special day ! Miss you on CM, looking forward to seeing you on Modern Family and your new pilot too! And just to state the absolute obvious -- you are absolutely beautiful! Happy birthday! You are missed on CM, best of luck in the future! 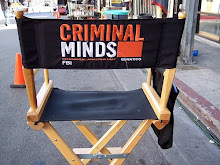 We miss your character on CM. Have a wonderful Birthday!! Hey, Hey Paget! Wishing you a wonderful year ahead and may all your dreams come true! Miss you on Criminal Minds and wish you the very, very best. Happy Birthday! Happy Birthday, Paget! Hope that you have a fantastic year ahead and are enjoying life! Happy birthday, dear Paget! Hope you have a wonderful year, full of good surprises and a lot of success in whatever you put you hand to do. Kisses from Brazil! A little late but Happy Birthday Ms. Brewster. Wishing you the best in everything and I miss your character Emily Prentiss more then I can ever say. Happy Birthday Paget, I hope your heart is filled with much love and kindness from family and friends on your special day... P.S A light went out when you left CM, the magic just not there anymore, but i look forward to seeing you on other shows. Love from Australia. It is being wished one year turns into a wonderful year this year. The day which returns to Emily Prentice is wished. A criminal mind requires you. I'm a tad late on this, since I haven't been on this blog for some time. In the unlikely case that Paget, you see this, I just want to wish you a Happy (but otherwise, belated) Birthday! Prentiss will most definitely have a reserved (and large) portion of my heart, forever and always. You've brought this warmth, love and humour to the cast and crew, and the BAU team, that can never be replaced in my mind. I want to wish you a continuous, successful career, and being a Pageteer, I want to let you know that if you ever feel low, just turn around, because we are (and always will be) behind you, supporting you through everything. I give you nothing less than my sincerest blessings and love. This would have never fitted into a tweet. Happy birthday! Hope it was great! Can't wait to see your next show. I know I'm late, but I haven't got much time to write you! Happy Birthday Beautiful! Love all the work you do and continue to drive us men crazy!have a wonderful,glorious Birthday. Belated birthday to you honey.meeting u will be my happiest day!